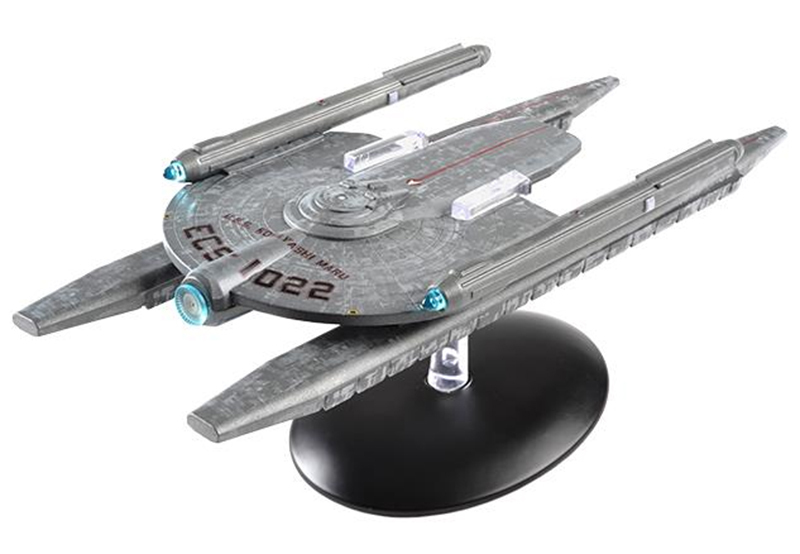 Star Trek - USS Kobayashi Maru, ECS-1022 - "The No-Win Scenario"
The latest special from the Star Trek: The Official Starships Collection is the 2009 movie version of the ship from the infamous no-win scenario, the U.S.S. Kobayashi Maru. Though rarely seen on screen, the Kobayashi Maru is an important part of Star Trek lore, as James T. Kirk became the first and only cadet to ever beat the famous "no-win scenario". The U.S.S. Kobayashi Maru measures approximately 8.5 inches long and is produced in a combination of die-cast and high quality ABS materials.